Winterconi had been a consistently strong, but winless, performer at Tyers Park and that was the case until Monday. 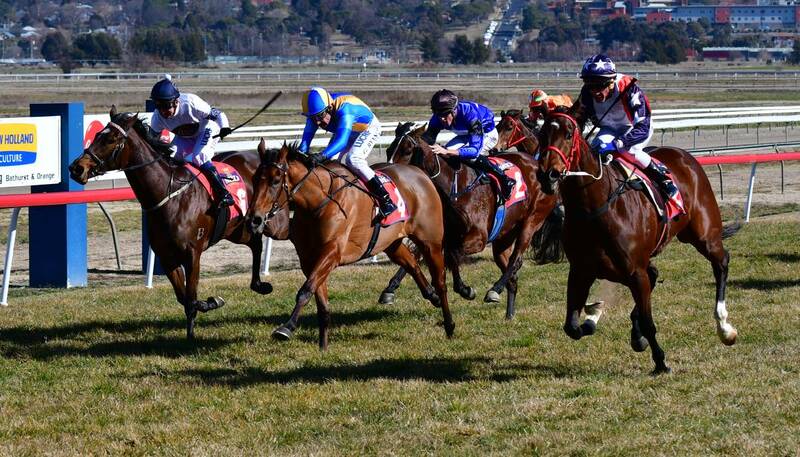 The Dean Mirfin-trained mare finally found the breakthrough on her home track, winning the Central West Electrical F&M Maiden Handicap (1200m) after four previous placings at Bathurst. Winterconi ($2.70 favourite) sat towards the rear of the field throughout the running before being urged along down the outside of the track by Anthony Cavallo to claim a one-length win over Super Cyclone (Greg Ryan, $3). Bathurst trainer Mirfin almost had both his runners inside the top three, with Wordly Pleasure (Brandon Griffiths, $4.80) beaten by Russian Ahead (Jon Grisedale, $21) in the battle for third. Mirfin didn’t expect his mare to be sitting in the rear of the field during the early stages of the race but was pleased with how Cavallo handled the race. Russian Ahead and Super Cyclone led the field into the home straight and Winterconi still had plenty of work to do. A gap opened up which allowed Cavallo to take Winterconi off the rail and find the breeze down the centre of the track. It’s a win that was overdue. Mirfin said Wordly Pleasure’s run for fourth bodes well for her future: “She ran really well. She’s inexperienced and this is her first preparation at the races. She’s run three very good races,” he said.